How your business shows up on mobile sites and local directories is more important than ever. PowerListings is a powerful and easy service that lets you take control of your business listings and ensure that your customers and more importantly, people looking for your products and services can find you on their mobile device. Check your company's listings for free. PowerListings makes sure your listings are present with the correct information. It automatically adds missing listings, and it updates critical fields like name, address, phone number, and categories across our network. Change your information anytime and it will update everywhere. Add photos, descriptions, promotions, to your listings on each site on our network. Let your customers know about specials, new products, important announcements, changing hours, or anything else. Simply enter the information into your PowerListings account and watch updates occur across the network at blazing fast speeds. 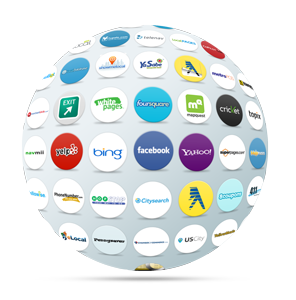 PowerListings vast network includes over 50 search engines, maps and apps where users might be searching for your business. Make sure your listings stand out so that you can turn online searchers into offline shoppers. PowerListings solved one of the biggest challenges we've faced at VPS and it can help get your local listings under control for your business.